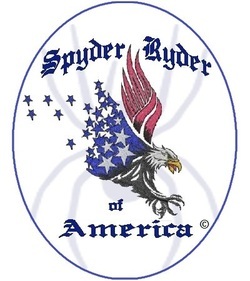 This club is dedicated to Spyder Ryders of America™ in and around San Diego, California. If you are a Spyder Ryder or Enthusiast that enjoys ryding with other American Spyder Owners and you are seeking new adventures, then we are what you have been looking for. By joining Spyder Ryders of America™ members will have access to all group rides, events, and meets. Members will have access to AmericanSpyder.com (once launched), Spyder Ryders of America™ Facebook page and all other regional chapters, as well as other exciting benefits. Several local dealers have made available a "Show us your Membership Card" discount for all members, good on parts and accessories (some restrictions apply, see dealers for details). So join today and find other like-minded Spyder owners and let the ryding begin!